National Physical Therapy Month (NPTM) is hosted by APTA each October to recognize how physical therapists & physical therapist assistants help transform society by restoring & improving motion in people's lives. Through their caring & compassionate approach, they form relationships with patients & families that foster a trusting safe environment to promote healing. Our physical therapy team supports our mission of providing patient-centered care during the rehabilitation journey through every stage. Penn Therapy & Fitness Cherry Hill has a New Home! On September 26th, Penn Therapy & Fitness Cherry Hill relocated to the brand new Penn Medicine Cherry Hill, a 150,000 square foot, multi-specialty facility. Conveniently located less than 2 miles away from our old facility on Route 70 (Marlton Pike), our new location is easily accessible & provides free garage parking. The new space enhances our ability to provide the most comprehensive, patient-centered care available in the region. Aquatic therapy is also available for Penn Therapy & Fitness Cherry Hill patients, with the addition of our brand newtherapeutic pool. Congratulations to Penn Rehab Nurse Carol Eberhardt, BSN, RN, for being awarded the August 2016 DAISY Award! The DAISY Foundation presents The DAISY Awards to celebrate the extraordinary compassion nurses provide to their patients & families every day. Nominations are submitted by their peers, physicians, patients, families, staff & administrators. Be sure to submit your nominations for the next DAISY Awards in the nomination boxes at each elevator bay on the Penn Medicine Rittenhouse campus. Did you know Respiratory Care Week is celebrated in October? This special week is recognized on national level from October 23-29 through the American Association for Respiratory Care. The respiratory therapists at The Speciality Hospital at Rittenhouse & Penn Rehab are part of the multidisciplinary care team providing treatment for medically complex patients requiring long term acute care in order to continue their recovery. Click here to learn more about their passion for helping patients & families breathe easier while recovering from illness or injury. Join us this fall as we take part in supporting several upcoming community events! The Parkinson's Council will be holding the 15th Annual Walk to Stamp Out Parkinson's on Saturday, October 8, 2016. From start to finish, A Walk to Stamp Out Parkinson's is all about community. The walk will take place at MLK/West River Driver in Philadelphia, PA from 8-11am on Saturday, October 8. To register, start a team, or donate, click here. Learn all about the causes, treatment, & prevention of common injuriesexperienced by runners from a physical therapy perspective at Penn Therapy & Fitness Jenkintown. This FREE evening running clinic is in partnership with Jenkintown Running Company. Participants will have an opportunity to observe and/or participate in a running analysis, in addition to hearing presentations by Penn Therapy & Fitness physical therapists and Dr. Kate O'Conor, Penn Medicine Orthopaedic Surgeon. Call 215-886-0414 or email Robert Wise, PT, DPT, SFMA to register by October 11, 2016. The 2016 Jean Feldman Conference for individuals living with Parkinson's disease & care-partners will take place on Friday, October 28, 2016 at the Aloft Mount Laurel, in Mount Laurel, NJ from 9am-2pm. Join the Dan Aaron Parkinson's Rehabilitation Center & the area's top Parkinson's rehabilitation specialists for a series of informational talks focused on how physical, occupational & speech therapy can help manage non-motor symptoms & improve quality of life. We are once again proud sponsors of the Radnor Run, which benefits the American Lung Association. Participants can register for a 5 mile race, or enjoy a 1 mile fun run/walk. Join us as we proudly walk with our Penn Medicine colleagues at the 2016 Heart Walk on Sunday, November 5th, which benefits the American Heart Association. The Heart Walk takes place over a three-mile walking route around Citizens Bank Park. Our goal is to help raise $1,000 to help Penn Medicine reach its fundraising target of $250,000. To join or create a team, click here. This month we will be holding a special combined support group. 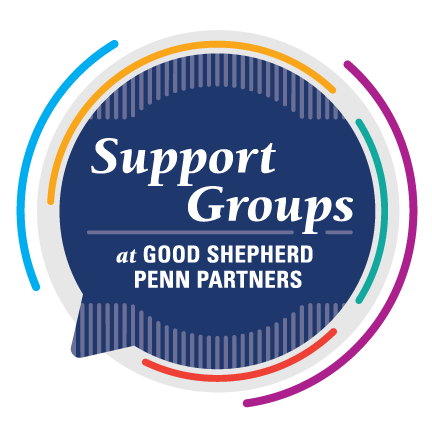 Through our special combined support group, we provide education & encouragement for patients recovering from spinal cord injury, amputation, aphasia, brain injury, medically complex conditions & stroke.This is open to the public,& takes place at our Rittenhouse Campus. RSVP to Christopher Gorrell, Lindsay Furlong or Natalia Stroutinsky at 215-893-6324, or via email Christopher.Gorrell@uphs.upenn.edu. According to statistics for the American Diabetes Association more than 29 million Americans are living with some form of Diabetes. Even more concerning is that there are likely an additional 86 million diagnosed with pre-diabetes. The good news is that you can have some control over this disease. Please join us in welcoming Rebecca Stamm the director of Clinical Implementation and her team of certified diabetic Educators from the Hospital of the University of Pennsylvania.